There are thousands of pictures and videos getting uploaded every minute on the social media platforms like Facebook and Twitter and among all these posts, it can really be difficult to be different. The possibility that your post will even be seen is negligible. This is the situation where Hashtags play a major role. 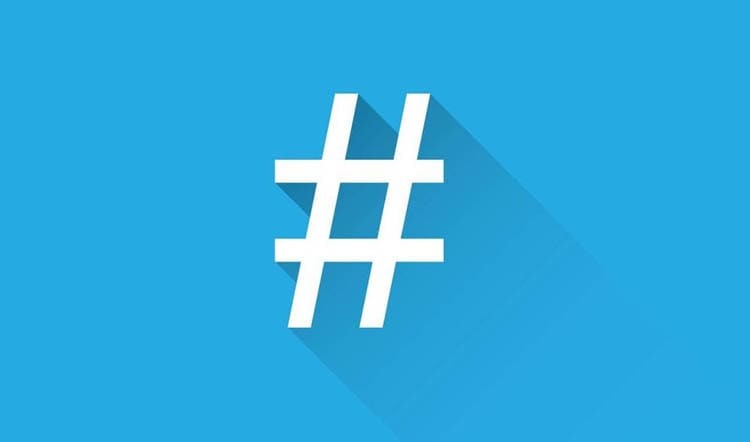 Hashtag is a way to add tags to your content which you publish on social media platforms. The use of hashtags can make it easier to find your content so that it can be understood and followed by the social media site and the people who are active on them. A hashtag initiates with the symbol of # and then followed by a word or a set of words without any space between them. Some of the common and popular hashtags that are used in the SEO industry are #digitalmarketing, #googleseo, #SEO etc. • With the correct use of Hashtags, it will be quite easy for the social media networks to categorize your specific updates and this will help them in improving the visibility of their search functions. For example, if you use #digitalmarketing on any of your tweets, it indicates Twitter that the tweet is about Digital Marketing and thus, it will appear in the search results when any user will search for Digital Marketing on Twitter. • There are certain social media users who follow the popular hashtags. So, if you use hashtags they will reach your messages even if they are not following you. For instance, the correct use of hashtags in your tweets and posts will help you in gaining the potential audience. • Hashtags are the best way to add your personal posts to an existing story. For example, if there is a post on Twitter which is trending and you want to add on your reply to that, you can use the hashtag of that particular content in your reply so that the people who are the followers of the story will also be able to see your interactions. How can you create your own Hashtags? You can even create your own hashtags by using a # sign followed by a set of words without spaces. For example, you can use #thisismyhashtag. Your hashtag can become trending when a large bunch of people add it to their posts or tweets. No wonder that this is one of the most powerful tactics for businesses make a reach to their clients. Where to not use Hashtags? Avoid adding too much hashtags. Using too much hashtags in a single message can cause hashtag pollution. Using more than two hashtags in one message makes it difficult to understand. It is considered as an unprofessional thing if you use a hashtag which is not relevant to your message, just to seek attention. Doing this can even make people to report you as a fraud or spammer.